The LG V20 is all set to be unveiled on September 6, and Google has confirmed that the smartphone will be the first new smartphone to ship with Android 7.0 Nougat out-of-the-box. Running up to the launch event, we’ve seen several render leaks, and now a live image of the LG V20 has surfaced online. The LG V20 was snapped in the wild by Twitter [email protected], and shows the front of the smartphone only. Even though the image is grainy, the LG branding at the bottom cannot be missed. There seems to be very thin bezel around the edges, and the front camera is where it was seen in past renders – on the top left of the smartphone. This image was a response tweet to Evan Blass’s LG V20 render leak yesterday. Techman72 replied to Blass’s leak tweet, “Here’s a real pic of the V20, not some render.” Blass’s render image also showed the smartphone front. The render image shows the buttons forged into the display, and the second screen is seen on top. Renders of the LG V20 have been leaked by OnLeaks in the past as well, and they show the smartphone from all angles. There’s a dual camera setup expected at the back, with the fingerprint sensor sitting right below it. 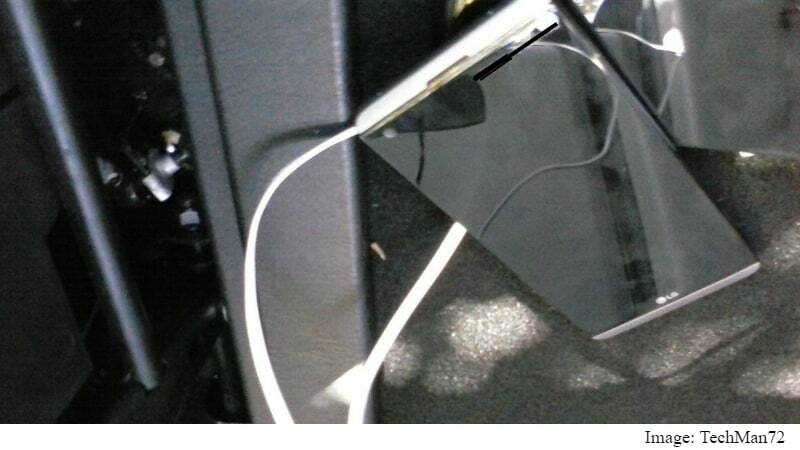 The USB Type-C port, the 3.5mm audio jack, and the speaker grill are all seen situated at the bottom of the device. While there were earlier rumours of LG introducing the LG G5-like modular design on the LG V20, the latest renders show no release button hinting at a regular unibodied smartphone. The company has been boasting of the smartphone’s audio and sound capabilities, claiming that it will be the first in the world to sport a 32-bit Hi-Fi Quad DAC (digital to analogue converter) for enhanced audio playback. LG is placing its bet on the V20 to revive its smartphone business, after the dismal performance of the LG G5. The flagship smartphone had weaker-than-expected sales following production difficulties, and LG reported a total operating loss of roughly $132 million in the second quarter of 2016.